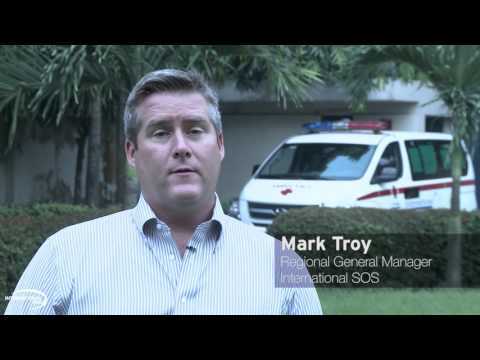 International SOS Government Services provides specialized and innovative services ensuring quality health care outcomes, and reducing medical risk for governments, military and international organizations. Working side-by-side with hundreds of government organizations in over 200 international locations, we have direct experience in supporting and supplementing health and medical needs through our global, medically led footprint. Built over 30+ years, our extensive infrastructure, medical expertise and scalable resources enable us to provide customized, cost-effective, and compliant solutions in even the most complex environments. Our on-demand, comprehensive capabilities include: pre-deployment screening, expeditionary/deployed support, medical assistance, telehealth and technology-based services, aeromedical evacuation, medical staffing, supply chain management, and international health care plan management services. International SOS provides 24/7 medical staffing services for 1,500+ deployed Active Duty Service Members, civilian and contract support staff working in support of the Ronald Reagan Ballistic Missile Defense Test Site (RTS) on the Kwajalein-Atoll in the Republic of the Marshall Islands. If you have a valid US passport and answer YES to any of the below questions, we want to hear from you! Are you an experienced medical professional looking to apply your clinical valued skills assisting others on a beautiful, remote island setting? Have you served in any medical branch of the US Armed Services or other US Government support agencies? Are you adventurous, independent, and yearning for ways to give back to those who serve on behalf of an important Government security mission? We are always in search of qualified medical professionals, including: Physicians, Physician Assistants, Registered Nurses, Dentists, Veterinary Technicians, Food and Safety Inspectors, EAP/Psychologists, Ultrasound and Imaging Technicians, and Pharmacists. Qualifications, special certifications, and licensing requirements vary, depending on the position. International SOS covers all costs for housing, meals, continuing educational requirements, and in some cases spousal or partner accompaniment. We offer a comprehensive medical, dental, retirement savings, and a generous benefits package. And for employees with more than 12 months’ service on this project, a 1-week expenses paid respite care trip away from the island to anywhere in the Continental US.